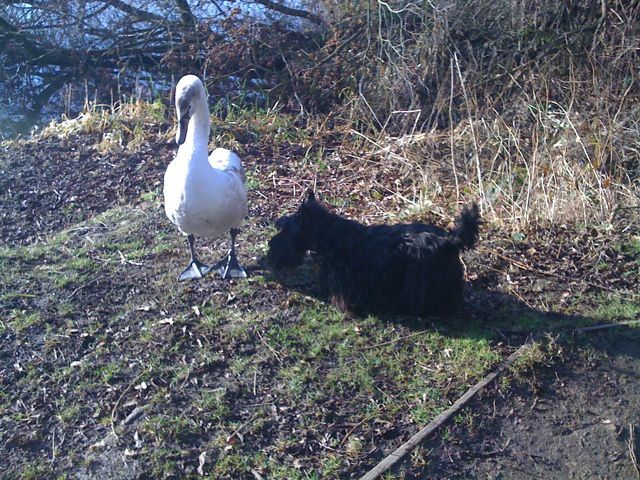 Just how close can a Scottie and a Cygnet get ……. Meet Finlay’s new friend. This is one of a group FIVE cygnets, followed closely by their parents. It’s been a fantastic sight on the Reservoir to see all SEVEN gracefully moving around the reservoir. Although now, the parents are trying to encourage their babies to find their own way, and one of the cygnets is now not allowed near the rest of them! We regularly share bread with them, the ducks, coots and gulls, but are disappointed that She gives the Reservoir Residents all the bread and we don’t get any! Other than those crumbs that don’t make it into the water. 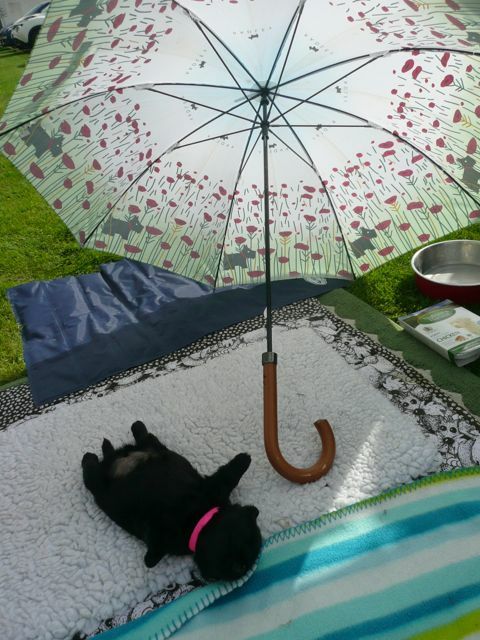 What new friends have you guys been making …..
‹ PreviousOh My Dog ……..
You are very brave Finlay….and so is the cygnet. The swans at our duck pond don’t some that close….and we’ve never seen them out of the water.